There was a time when the name Kiernander was well-known both in Britain and in India. In the nineteenth century, not a year went by without reference being made in print to the first Protestant missionary to Bengal, companion of Clive and Hastings, the Rev. Johann Zachariah Kiernander. At this time in Calcutta it was not unknown for children to be christened with Kiernander as a middle name in memory of the great man. His name lived on in that city until relatively recent times through his legacy of charitable institutions: the church, schools, hospital, almshouses, and the cemetery commonly called “Mr. Kiernander’s burial ground”. For two hundred years Calcutta was home to most of his descendants. Thacker’s Indian Directory charts the growth of the family, and the proliferation of their name; at the end of the nineteenth century Calcutta cradled a population of Kiernanders yet unsurpassed by any other city – though this probably numbered no more than fifty individuals at any one time. The inter-war period, and then Partition, saw a great migration of his namesakes out of India to the various reaches of the British Empire, and beyond. As the twenty-first century dawns the name is most densely concentrated in the English speaking nations of the United Kingdom, Canada, New Zealand, Australia, and the United States. Although associated principally with Calcutta, Kiernander is not Bengali in origin. When in 2011 I met the UK correspondent for Die Welt, Thomas Kielinger, I was surprised both that he was quite familiar with the name, and that he believed it to be “a classical Indian name”. I can only think that he had stumbled upon it in some subcontinental context, and that it had remained with him by reason of its similarity to Kielinger. Perhaps he had misconstrued some link to the Punjabi surnames Anand or Nanda, or to Vivekananda even; I’ve known many desis make the same mistake. Kiernander is, in fact, a Scandinavian surname that emerged in seventeenth century Sweden. The earliest proven paternal progenitor of the Kiernanders is one Sveno Laurentii (c.1540-1627). He was an influential kyrokherde, or priest, who may have been the first Lutheran clergyman to the parish of Åsbo, in Östergötland, Sweden. In Scandinavia at this time surnames, i.e. hereditary names common to all members of a family, were relatively unknown. Instead, there was a system of patronymics, or compound names conveying paternal lineage. If farmer Lars had a son, the child’s last name would be Larsson, meaning “son of Lars”; if Lars had a daughter, her last name would be Larsdotter, meaning “daughter of Lars”. It was not until approximately a century ago that this practice ended and the patronymic stabilised into a surname, and whole families of Larssons, Andersons and Johannsons emerged. Sveno Laurentii is, in fact, the Latinised version of the name Sven Larsson. Before Sweden’s Lutheran Reformation, clergymen used only their Christian name preceded by the title Herr, meaning “Sir”; for instance, Sveno Laurentii’s predecessor at Åsbo was one “her Pauell”, or Herr Paullus. 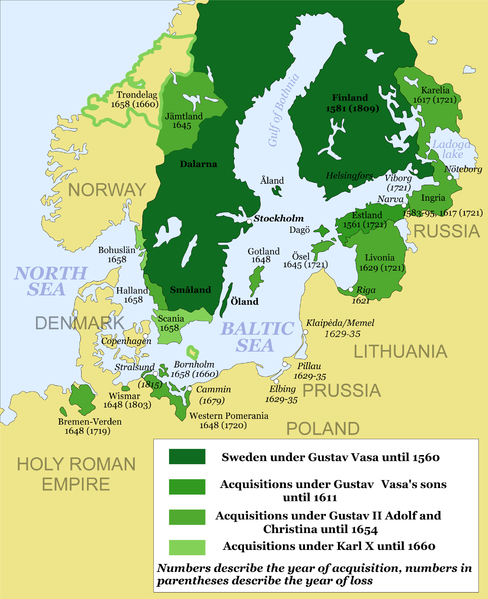 Soon, however, it became necessary to differentiate between clerics with the same Christian name, and so the patronymic was added, albeit in a Latinised form: an Abraham Andersson became Abrahamus Andrex, a Björn Bengtsson became Bero Benedicti, and one Sven Larsson became our Sveno Laurentii. From the clerical records gathered in Håhl’s Linköpings stifts herdaminne (1847) we learn that Sveno Laurentii had a son (perhaps, among other children). This son was named Johannes Svenonis Kaliander, and served as komminister to his father at Åsbo from 1609-1614, before succeeding him as kyrkoherde there from 1614-1637. If Johannesis a Latinised version of the name Johan, and Svenonis a Latinised patronymic from Sven, then what are the origins and meaning of this last name Kaliander? And how is it related to the surviving surname Kiernander? To further distinguish themselves, clerical students in seventeenth century Sweden created additional names commensurate with their social station. One popular method, out of which the name Kaliander sprang, was the use of the suffix –ander, which derived from ἀνδρός – or andros, the Greek word for man. Another example is that of Johannes Nicolai Eosander, who followed Johannes Svenonis Kaliander as kyrkoherdeat Åsbo from 1638-1661. Similarly, there is the recent fictional Swedish detective Kurt Wallander, whose surname would have originated similarly. The origin of the prefix Kali- in Kaliander is less clear, but will be explored later. In one source yet another name is applied to Johannis Svenonis; he is referred to as Jonam Johannis Ostrogothium. The last is a locative name, deriving from the province of Östergötland, where he was born. The same name is also applied to one of his three sons, Sven (1618-1674), also born at Åsbo in Östergötland, who is referred to as both Sveno Johannes Kaliander Öster Götus, and Sveno Johannes Ostrogothus. Even Johann Zachariah Kiernander, born in the same province almost a century later, is noted as Ostro-Gothia Swecus in records at the University of Uppsala. In 1642, Johannis Svenonis’s son, Sven, travelled to the city of Åbo (Turku) in the eastern half of the Kingdom of Sweden, which covered most of present-day Finland. There he studied at the famed Åbo Akademi, before settling in that city as a lawyer. In the university records we find no less than twenty variations of his name. While his Christian name is written as Suen, Sueno, Sven, Sveno, Svenonis, Swen, and Sweno, his patronymic middle name is sometimes Johannes, and sometimes Hansson, though more often than not it is absent altogether. It is at this point that we see the emergence of a family name, or surname, and the disuse of patronymics. In some sources Johannes Svenonis’s last name is written Kalliander rather than Kaliander, but in these university records the variations for his son Sven’s last name are astounding. Along with Kaliander and Kalliander, there is Kaliandri, Kaliandrj, Kaliandro, Caliander, Calijander, Calliander, Coliander, Collijander, as well as the more familiar Kernander. Thus, in one place he can be referred to as Sven Kernander and in another as Swen Hansson Collijander. This is indicative of the absence in earlier centuries of any standardised spelling, and of what little importance was attached by our forebears to the spelling of even their own names. Most famous, perhaps, is the case of William Shakespeare, that most literate of men, who is known to have spelt his name with almost no consistency. Another son of Johannes Svenonis was Jonas Joannis (c.1612-1662) who was komminister to his father at Åsbo from 1633-1639, and who, like his brother, was given his father’s last name Kaliander. This, however, he seems to have adapted, while studying at Uppsala between 1626-1629, adopting the spelling Kernander and, perhaps, even Kiernander. Records show his initial use of Kaliander, before assuming Kernander, but it is quite likely that the spelling Kiernander has been applied to him only retrospectively. Jonas Joannis’s two documented sons were Israel Kernander (1644-1718), a priest in the tradition of his forefathers, and Jöns Kiernander (c.1662-1740), an oxdrivare, or drover, and soldier, whose two sons were Carl Gustaf Kjernander (1709-1769) and Johann Zachariah Kjernander (1711-1799). Without a detailed knowledge of Swedish pronunciation in the seventeenth century, and the linguistic developments which no doubt took place, it is difficult to ascertain how these names were pronounced. Similarly, it is unknown what phonetic relation they bore to each other, or to the present pronunciation of Kiernander. Spelling was still not standardised, though by this time it seems individials often favoured one or two spellings, rather than a multitude. Israel Kernander, Jöns Kiernander and Carl Gustaf Kjernander appear to have hardly deviated from these spellings of their names. Johann Zachariah Kjernander was the exception. In the 1924 edition of Nordisk Familjebok, his surname is given as Kjernander, but the entry is followed by the assertion “skref sig Kiernander”, or “he wrote it Kiernander”. Indeed, in letters written by him to Clive of India, he signs his name Kiernander. No examples of him spelling it otherwise have yet come to light, but it is unlikely that he deviated from the present spelling after entering the English speaking world in 1735. Kjernander remains quite unsayable in English, whereas Kiernander is perfectly manageable. It seems that in Swedish the pronunciation of Kjernander would be Sherr-nander, and not much like the modern name Kiernander, which is pronounced /kiːrˈnændə/. After Johann Zachariah’s adoption of the Kiernander spelling the surname has undergone no further changes. This is essentially due to the fact that spelling has become almost universally standardised, and that the name has remained predominantly within the English speaking world. The origin of the prefixes Kali-, Kalli-, Ker-, Kjer-, and Kier- are purely hypothetical at present. In the text Skrifter av Eric Wennæsius there is an entry for a Jonas Kiernander (1647-1717), who was born a farmer’s son in Kärna, Östergötland. As the surname denotes, he too was a clergyman, and he studied at Uppsala in 1670. In 1706, his son, Andreas Jonæ Kiernander, was also a clerical student there. The surname spanned four generations before dying out, and again the spellings Ker-, Kjer-, and Kier- were used interchangeably. The origin of this family’s name is explained away in Skrifterin the line: “den berömde missionären Johan Kiernander… otvivelaktigt härstammade från samma släkt”, or “the celebrated missionary Johan Kiernander… undoubtedly originated from the same family”. If there was, though, a relationship between these two families it remains as yet undiscovered. Such was the nature of society at that time, however, that the records of mothers, wives, and daughters were very rarely detailed, and so there might have been some unrecorded, or yet undiscovered, link by marriage or maternal descent. If there was no relation through blood, then this later Jonas Kiernander might have adopted the surname out of some other association with, or respect for, his fellow alumni of the University of Uppsala. Otherwise, the two families might have originated from nearby farmsteads in Östergötland, and the prefixes may be locational indicators. Ker-, Kjer-, and Kier- could be derived from Kärna, where Jonas Kiernander’s father’s farm was no doubt situated. Sveno Laurentii was an influential man and, as the son of a farmer himself, may also have been a landowner, perhaps in this locality. This use of a locative prefix with the –andersuffix was quite common. So, perhaps, with Kärna not being far from Åsbo, the two Kiernander families were somehow related afterall. A letter kept in the Swedish National Archives seems to go against both theories, however. Written in 1809 it describes the “äventyrlige Joh. Z. Kiernander och hans prästsläkt från Åsbo vilken inte är att förväxla med den Kiernanderska prästsläkten från Glyttinge i Kärna socken” – “the adventurous Joh. Z. Kiernander and his priestly family from Åsbo; who are not to be confused with the priestly Kiernander family of Glyttinge in the parish of Kärna”. Whether this is a more trustworthy source than those above is only to be judged after more investigation. My reason for calling this post “What’s in a name? – Part 1” is that there is much more research to be done. I have recently registered the surname Kiernander and its variants with the Guild of One-Name Studies, and contacted NORNA: The Nordic Cooperative Committee for Onomastic research and the Swedish Institutet för Språk och Folkminnen. I have also made contact with a genealogical society in Östergötland which may have access to additional sources. The etymology that I find most appropriate at present relates to the surname of the famed Danish philosopher, theologian and poet, Søren Kierkegaard, whose name was often written Kjerkegaard. It was pronounced Keer-ker-gore, and so the initial sound is identical to the modern name Kiernander. The name meant ‘churchyard’, and is related to the surnames Carr, Kerr, Kirk, and many others with the suffix Ker-. These originated from the Teutonic word Kirche, a church, which may have derived from the Gælic cearcall, meaning a circle. As William Arthur explains in his Etymological Dictionary of Family and Christian Names (1857), “the primitive places of worship among the Celts were round, a symbol of eternity, and the existence of the Supreme Being, without beginning or end”. Perhaps, then, Kiernander simply means “Churchman”. It is very apt, as generations of the Kiernander family were men of the cloth, and the Kiernanders of Åsbo were a well-known prästsläkten, or priestly family. Appropriate too, that the first Protestant missionary to North India, who built at his own expense the oldest surviving Protestant church there, Johann Zachariah Kiernander, should be named, quite simply, “Churchman”. I am a Fulbright scholar writing a book on the Hicky’s Bengal Gazette and am researching the libel trials between Kiernander and Hicky. I was wondering if you had any primary information — letters etc, in your possession that you might be wiling to share? I’d love to chat and hear your impressions of JZ Kiernander as he is one of the central characters in my upcoming book. I haven’t seen any email to contact you at, so am writing in this comment box in hopes of reaching you. I have also tweeted at you. I am researching my family history on my mom’s side. A Kathaleen Amy Kiernander married my great grandfather, William Ellicott on November 11, 1896 in Calcutta,Bengal, India. She was 22 years old at the time. They had 3 boys that I know of. My grandfather, Eric Hepworth Ellicott, Noel Ivor Ellicott, and N.P. Ellicott that I know of so far. Do you think Kathaleen Amy Kiernander could be my great grandmother? Just curious. Thank you for your time. Also, I know that her son, Noel was the nephew of Lady Willey of London but I’m not sure if it’s from the Ellicott or the Kiernander side.